This is the Comment Stream where you can navigate through the various blog posts and make comments. The Gates of Hell have opened for the first time in years... Eve's most elite PVP corporation is now recruiting. The most badass and efficient ganking crew in the entire game, The Conference Elite, is looking for new wrecking balls to join their team of bot aspirant demolishers. Droves of gankers and scrubs alike have already applied; will you make the cut? Probably not. Then again, maybe you do have what it takes to deliver justice to Highsec alongside the game's most powerful content-generating corporation. If you think you might have what it takes, apply here. 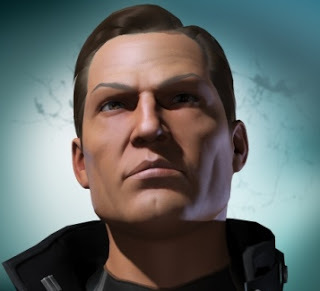 The EVE wiki entry about getting podded starts as follows: "It is very likely in some point of your eve career that your pod will be destroyed." What it fails to mention is that it is even more likely your pod will be destroyed if you fly it through New Order space without a permit. Autopiloting is the best way to ask to get podded, though conducting any other illegal activities will wind up getting your capsule blapped equally as fast. You see, we here in the New Order do not tolerate criminal behavior and we've a legion of a heroes ready to respond to teach known terrorists that crime doesn't pay. CODE. diplomat DJentropy Ovaert is such a hero. In fact, he's more than that: he's a leader of heroes. DJ has put out the call to arms; he has created a contest rewarding those who can find and destroy the most valuable pods. DJ himself as well as many other noble benefactors who donated prizes have put the total pool up to over 3 billion isk, 3 PLEX, and a variety of ships including a Machariel, a navy cruiser, a Rattlesnake, and many others to be split over the top 10 entries as well as a few bonus entries (such as the funniest kill and the best tear mail in response to a podkill). Rules: There will be TEN winners of this contest, and rank will be determined not by number of kills but by value of the pod kill itself. The highest value pod of the month will take the first prize, the second pod will take second place, and so on. Targets must NOT have a valid permit at the time of death. The kill, of course, must take place in High-Sec space. ANYONE is welcome to play and take part in the contest, with the exception of the contest creator (myself) or any players who assist me in running the contest. How to play: Simple. Go find some pods and shoot them. After the kill, simply eve-mail DJentropy Ovaert with a subject line of "Pod Kill - Sep 2014 Contest". Include a link to the Zkillboard.com record of the kill. In game kill mails will not be accepted, nor will links to any other killboard - Zkill only. If you need help setting up a limited API to automatically upload your kills to zkill, or prefer to manually post them and need help - simply join the minerbumping channel (password is 315) and ask for some help and an agent will be glad to assist you. The contest will run from Sep 1st (starting at 12:00AM) and will run until Sep 30th (Ending at 11:59pm). This, of course, is server time - not your own personal local time. A "leaderboard" will be made public for anyone to check their status, and will be updated daily. While I would of course win all ten spots if I tried, I will be going half assed and probably just take first place. Good luck and happy hunting! Some of the most common phrases uttered by butthurt carebears are the variants on "You only fight stuff that can't shoot back" or "You only gank in highsec because if you were out in low/null/WH, you'd get your asses kicked!" Its such a popular remark that it made its way onto Carebear Bingo. This however, turned out to be joke of the century. You see, lately we've been running a lot of roams and gatecamps out in Black Rise, in Gallente FW space (that's lowsec for you carebears in the crowd). I've never killed so much and lost so little in my entire Eve career (and with barely any coordination; at least no coordination comparable to the amount required by freighter ganking) . Actually that's putting it gently; we've been slaughtering stuff by the billions and we haven't even lost a single ship in the few days we've been out here. Its hilarious- and do you want to know what half of the guys we've been vaporizing have been saying? "Go back to highsec, CODE." Let me repeat that again. The bot aspirants we gank in highsec tearfully dare us to try lowsec, and when we do, the local lowsec inhabitants tearfully demand we go back to highsec. Ironically, despite the killboards being filled with billions of ISK of ships destroyed in lowsec per day, most carebears that I encounter in highsec laugh at me for "refusing to shoot at anything that shoots back". I point them towards a killboard and they simply tell us that we are trolls and griefers and that obviously our killboards are just inflated somehow. I actually had a carebear today insist that we were falsely engineering our killboards by loading up friendly ships full of items with inflated values and blowing them up. I lol'd. Ever since winning the Alliance Tournament, carebears seem to be extra sure of this untruth. I understand their burning desire to cling to this belief. I really do. It would mean the last shred of their dignity is validated: the idea that their superiors who so frequently dominate them have superiors of their own. Sadly for the carebear community, its simply not true, and their dignity is equally as hollow. We've been wrecking everyone we meet in lowsec too. What's next? Nullsec? Unlikely (we hate TiDi). I know, I know... I can hear it now. We're too scared! Luckily for me, I'm playing Bingo and my board just keeps filling up with tears. Sweet, delicious tears. I am officially back from Slovenia! I spent a week there for work and didn't play a second of Eve the whole time, but because I did frequent the forums, I had a serious itch to gank stuff when I returned home. I apologize for launching the site and then immediately going AFK(ish) for nearly ten days but my real-life job forces me to travel a great deal and sometimes doesn't give me much time in advance. But that's neither here nor there. On to business! The call to arms is a sacred New Order tradition by which either an agent or a member of the New Order intelligence community notices a particularly vicious lawbreaker that needs their equipment decommissioned and puts out a request for heroes to assemble to face the terrorist in the field of battle. Normally, we like to stick to solo-ganking or maybe go in twos or threes (because we can cover more ground that way), but there's no denying that some of the bigger highsec villains need a full party working in concert to defeat. Upon my return to the game, there was such a call being put out. I logged in and noticed it right away. I jumped in my Leopard and sped towards the staging system at once and noticed something amazing on the way: droves of other agents responding to the same call. It was at this moment that I realized the dedication of the New Order... no matter what these brave heroes had been doing when the call for help was made, they dropped everything to rush to the aid of their fellow capsuleer and to eradicate evil from the universe. So we ganked stuff, and it felt good to be back in it. Right as the group had disbanded to go back to our respective "territories", I noticed a Mackinaw who was defiantly sitting AFK in a belt, with his hold full. I couldn't just leave it there and head back to Uedama with a good conscience... so I called out for an agent to help me remove it from space... but the problem was that after the fleet disbanded they had all gone to take a break and weren't around to help. So I made a few quick calculations and grabbed a catalyst to take on the beast solo. I warped in and upon landing opened fire. He began to melt away but right as I hit his hull, CONCORD popped in, late as usual, but really pissed at me all the same. My catalyst was vaporized while the Mackinaw sat at 20% hull. I sadly warped away, dejected at my failure and wondering if I had made some type of miscalculation (even the best make mistakes occasionally). I reviewed the combat log and realized it was just some unlucky glancing shots. As I sat in station lamenting my poor fortune, my scout noticed that he was still in the belt with 20% hull. I giggled to myself as I undocked 15 minutes later and vaporized the exhumer and his 2 billion ISK pod on the second try. I served him his violation notice and flew back to Uedama with my head held high.